This dish has been inspired by a dish we had at Le Calandre in Italy. 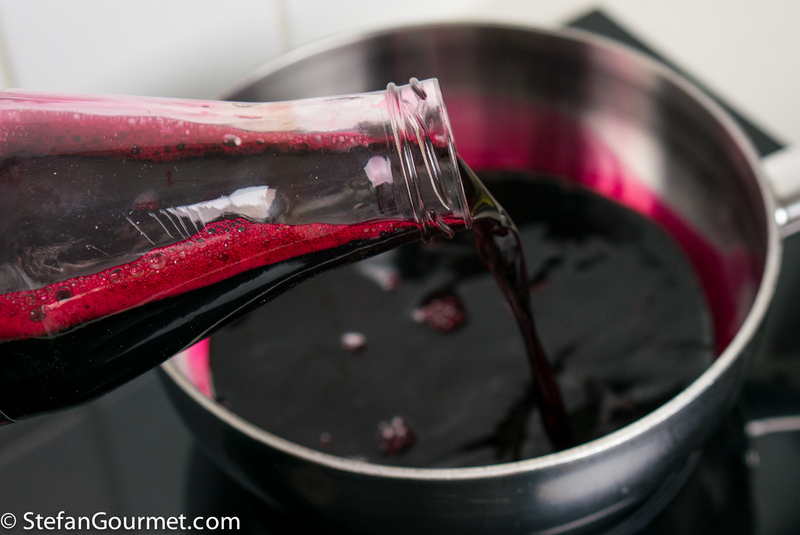 The concept is very easy: beetroot juice is turned into jelly using agar, ravioli are filled with the beetroot jelly, and when the ravioli are cooked the beetroot turns liquid again. So when you bite into the ravioli, beetroot juice will flow in your mouth. The contrast between the creamy salty pungent gorgonzola sauce and the earthy sweet fresh beetroot that bursts into your mouth is very nice. 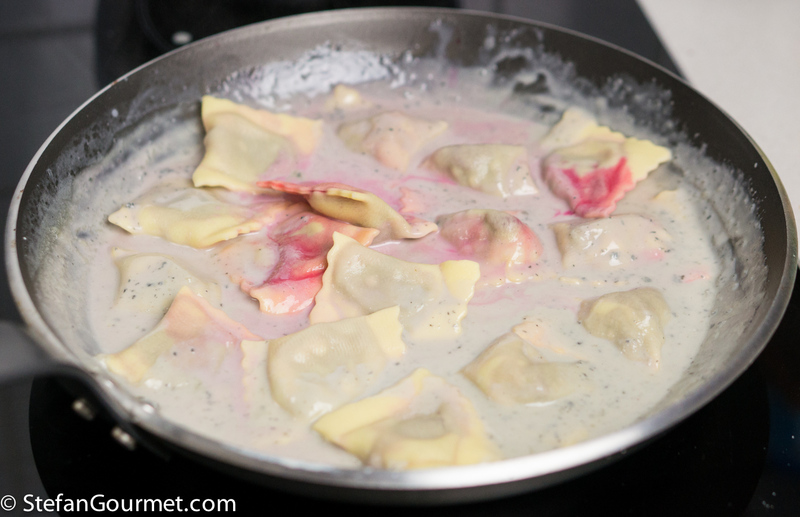 These ravioli make use of the property of agar that it sets below 35C/95F and becomes liquid again when heated to 85C/185F. The dish is quite simple with only a few ingredients, the hard part is the execution. 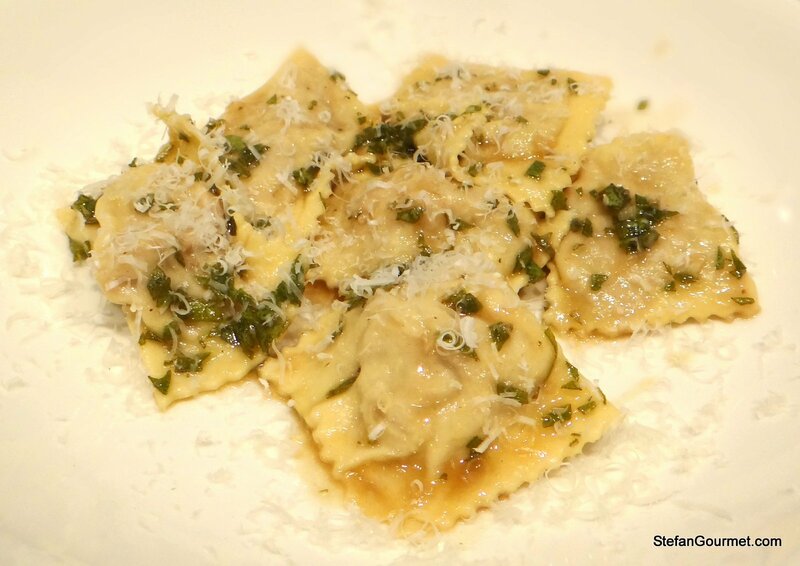 Ravioli are best when the dough is rolled out as thinly as possible. This however increases the risk of small tears and punctures. 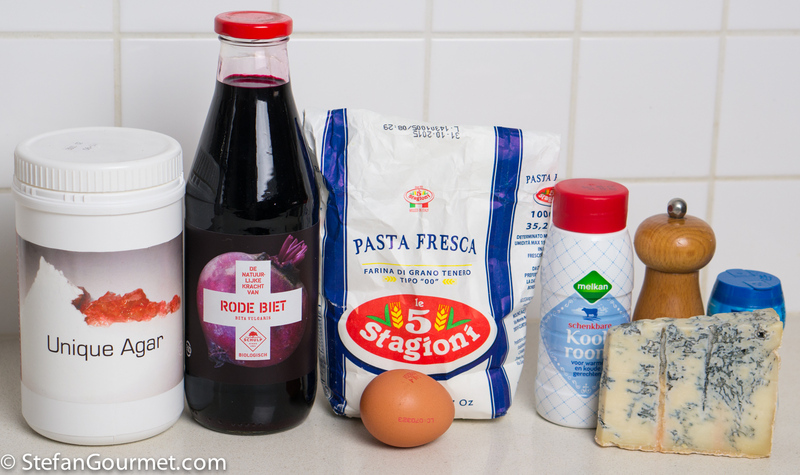 With many ravioli fillings a small puncture in the dough is okay, but with this filling it will mean that the beetroot juice will leak into the gorgonzola sauce. Which is what happened with a few of the ravioli that I had made. 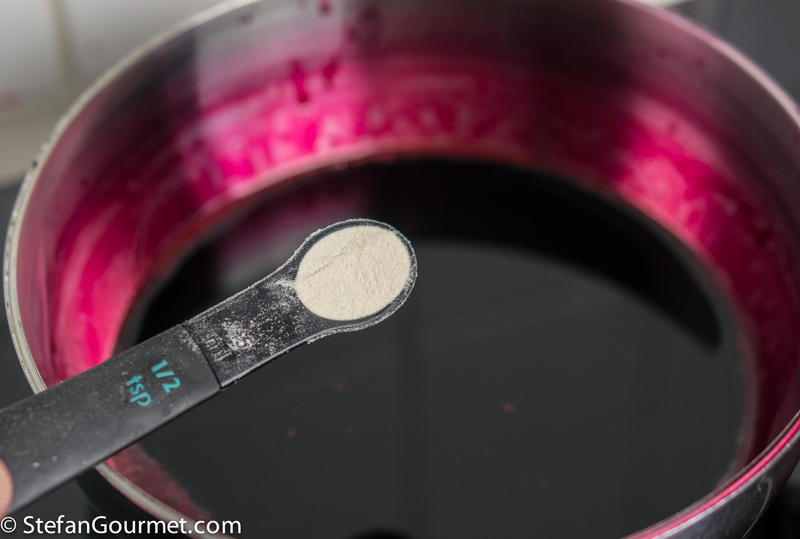 If your execution is perfect, the sauce is not supposed to have the purplish discoloration you can see in the photo. 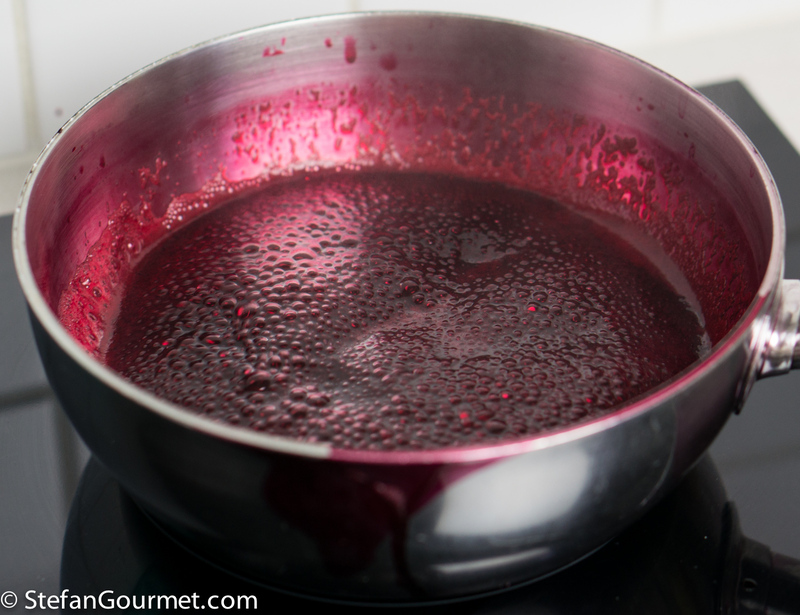 I’ve chosen to concentrate the beetroot flavor by reducing 3 cups of beetroot juice to 1 cup before turning it into a jelly. This makes the flavor more concentrated and sweeter. You could also just use a single cup of beetroot juice and leave out the vinegar. This will make the beetroot fresher and earthier, but also less pronounced. 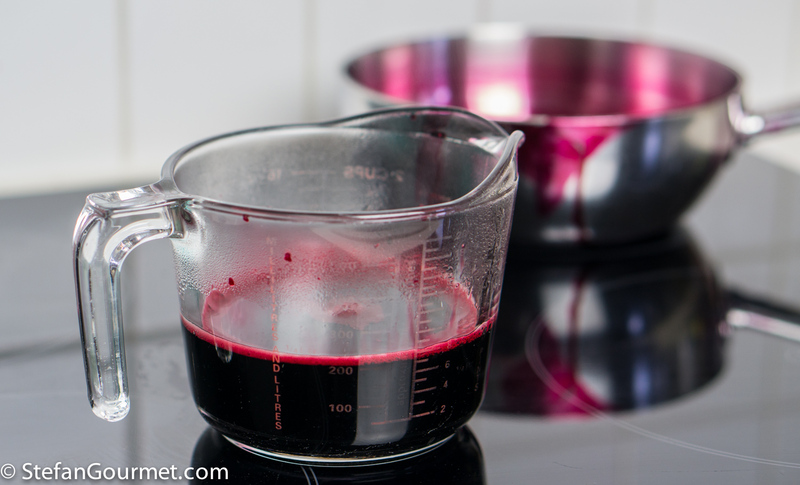 I’ve used store-bought beetroot juice, because I do not own a juicer (yet). 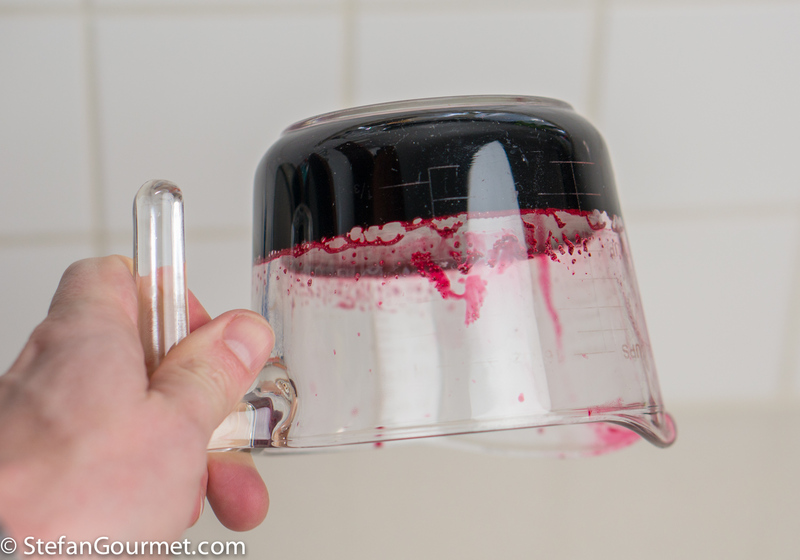 If you do own a juicer, by all means juice the beets yourself. Bring to a boil, then reduce the heat to a simmer. 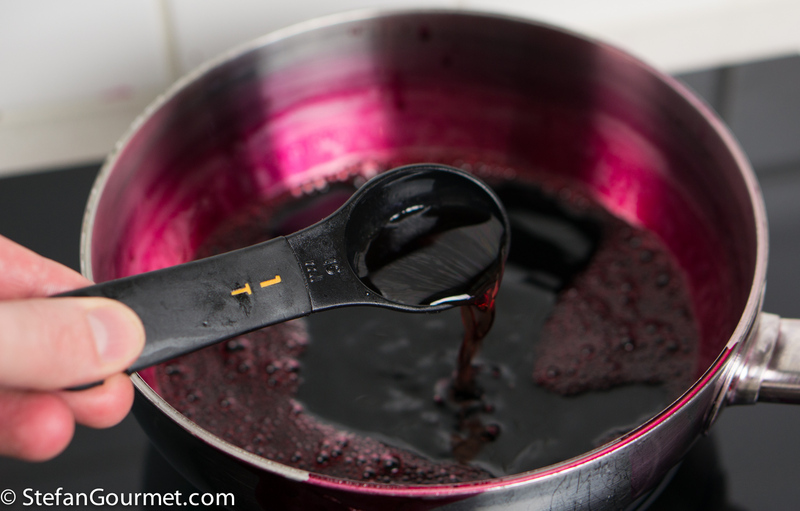 Simmer until the liquid has been reduced to about 250 ml (1 cup), stirring regularly, 30-45 minutes. 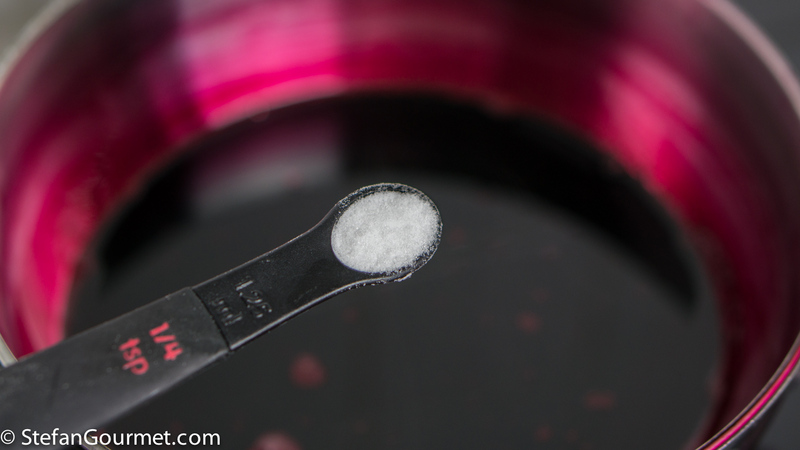 …and 1/2 teaspoon of agar. Bring to a boil, allow to boil for a minute, then allow to cool to room temperature. 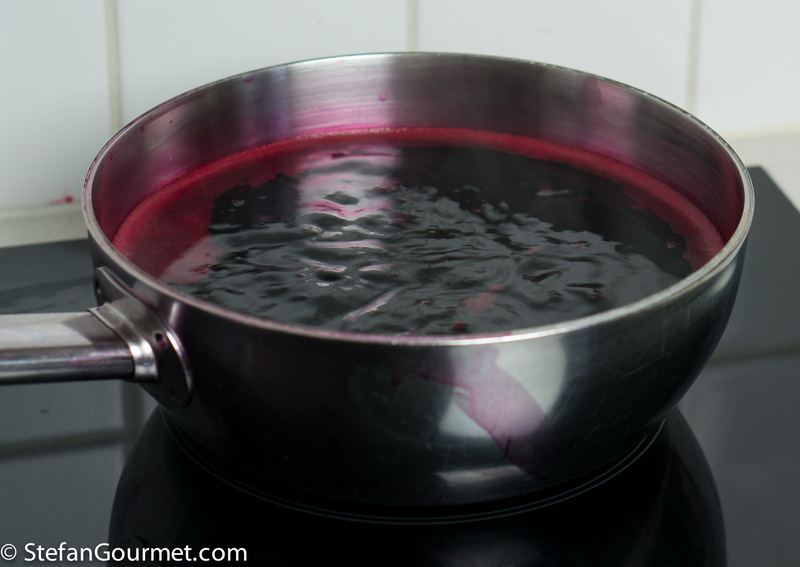 The beetroot jelly will set once it has cooled below 35C/95F. 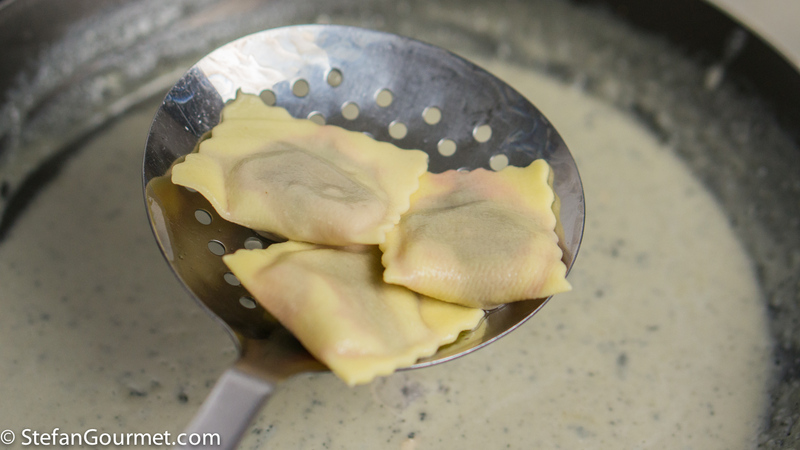 Cover and refrigerate until you are ready to fill the ravioli. Make ravioli according to my instructions. Try to get the dough as delicate (i.e. thin) as possible, but making sure there are no tears or punctures. With 2 eggs worth of dough you will have some leftover dough, but one egg worth of dough is not enough. 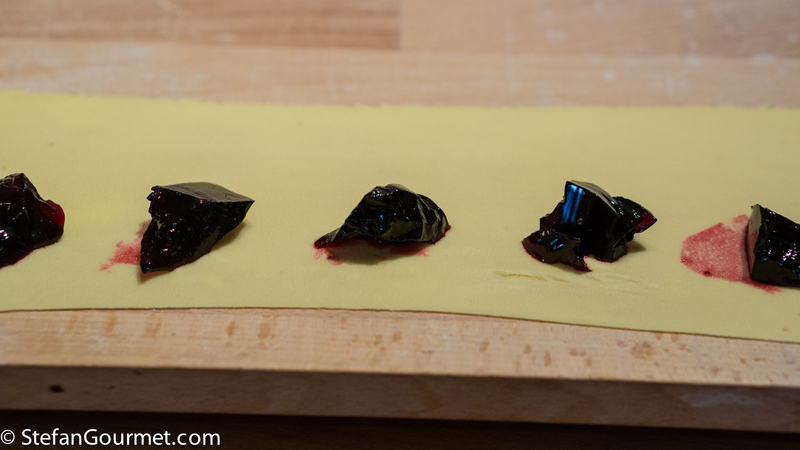 As the ravioli should be eaten in a single bite, it is better to make them a bit smaller than I did. Bring a large pot of water to a boil. Make the sauce while you wait for the water to boil. Put 125 ml (1/2 cup) of cream in a non-stick pan over low heat. 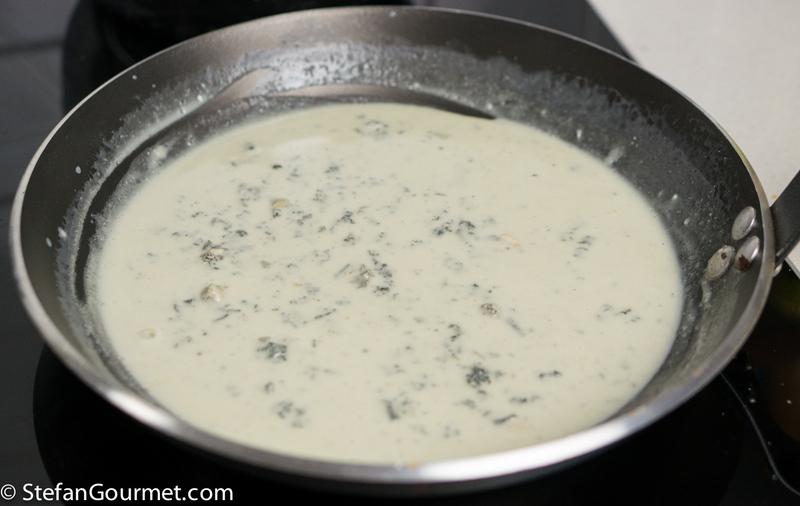 Add 100 grams (3.5 oz) of crumbled or diced gorgonzola. Stir over low heat until the cheese has melted. Make sure the cream will not boil. If you like you can use an immersion blender to make the sauce more smooth. Season to taste with freshly ground black pepper. When the water boils, add salt and the ravioli. 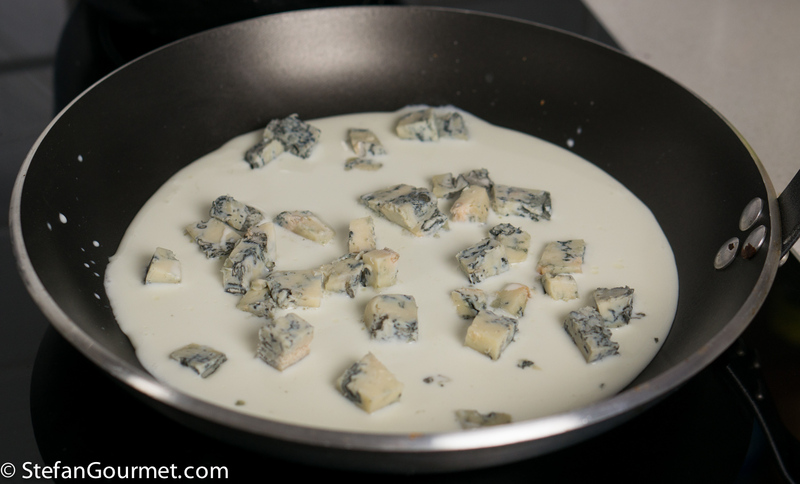 Cook them for about 2 minutes, then lift them out with a strainer and carefully add them to the gorgonzola sauce. Check carefully for ravioli that are leaking and discard them. Serve at once on preheated plates. You could sprinkle them with some freshly grated parmigiano, but that is not really necessary. Remind your guests to eat each ravioli in a single bite. Most ‘regular’ dry whites and (tannic) reds would not work well with this dish. 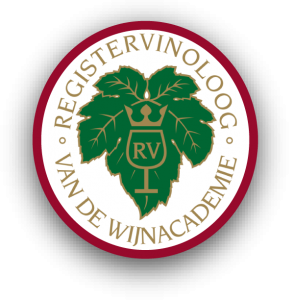 A fruity red like a Bardolino could work. A Recioto della Valpolicella would be excellent, but you may not wish to pair a sweet wine with a savory dish. A good off-dry Lambrusco (they do exist) would work. This time I paired it with a Verdicchio dei Castelli di Jesi that was very rich in style, made from late-harvest grapes and with new barriques. It worked very well. A more usual lighter Verdicchio would probably clash with both the cheese and the beetroot. 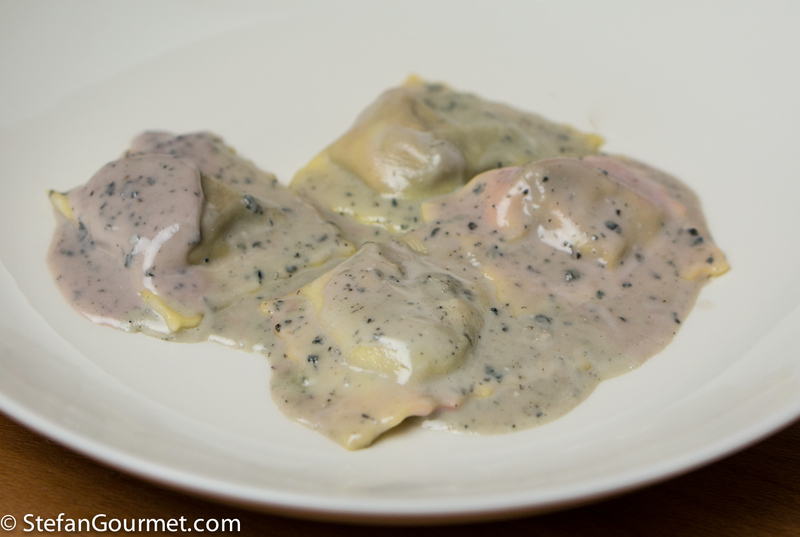 Chicken ravioli with sage is not common in Italy (where chicken is mostly seen as an ingredient for soup or stock), but it is delicious. What a fabulous recipe, Stefan! Brilliant stuff Stefan. Really fantastic. Sono davvero splendidi. Però credo che proverò con la barbabietola lessa. 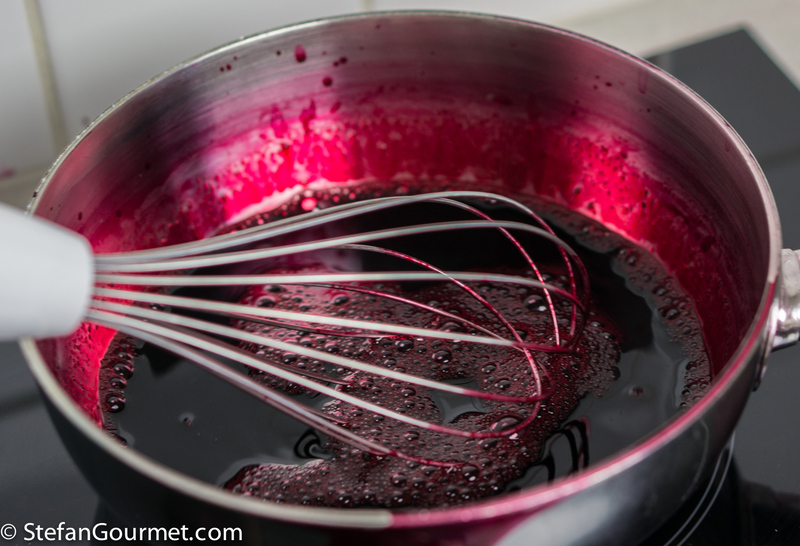 oooh – Ferran Adria in the kitchen – creative indeed, love the idea of the beetroot liquid with the salty gorgonzola salsa, smart! Invidio la tua tecnica Stefan: molto bravo. Io non arriverò mai al livello dei tuoi piatti nonostante a volte alcune mie ricette ti sono di ispirazione. Complimenti. A small reservation about the beetroot.